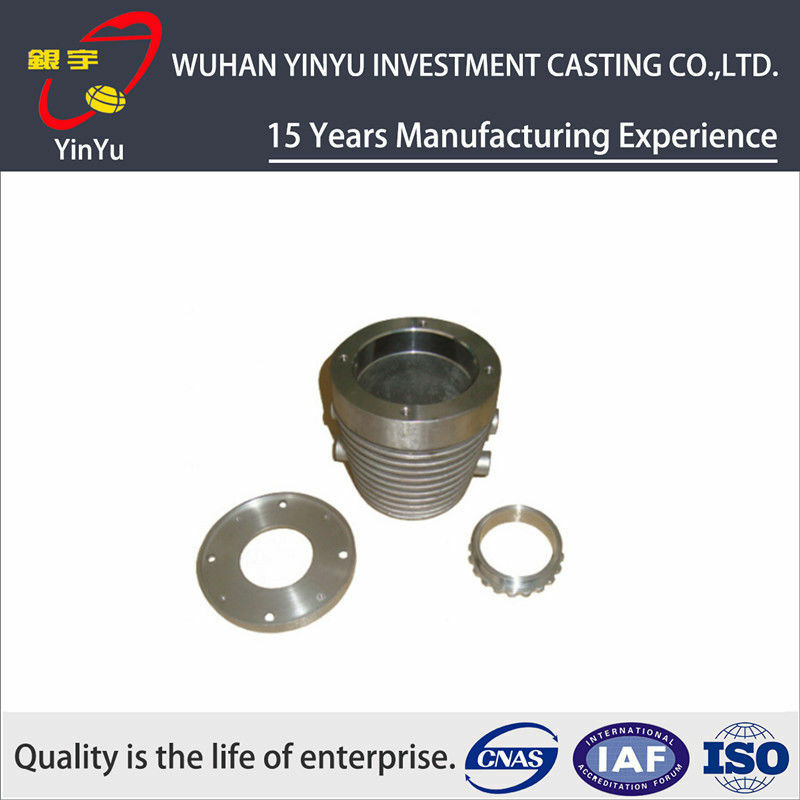 We are specialized in advanced silicasol precision casting industry since the year 1997 . 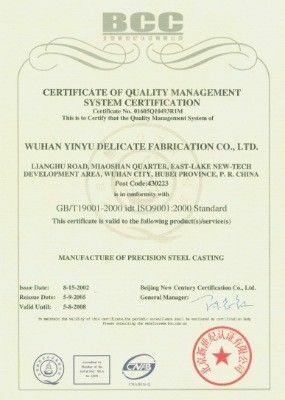 Various types stainless steel(201,202,304,309,310) ,carbon steel (middle, high, low carbon steel), alloy steel materials(42CrMo,20Mn,ZG45,ZG25) are widely used in many fields ,such as instrument parts, construction hardware, pipe fittings, valves, Marine hardware accessories, machinery parts and various special-shaped non-standard hardware. Our casting products always win high reputation both domestic market and abroad ,and we concentrated on the international business since our company establishing , we have successfully annual exported to many countries and regions ,such as Germany , America, UK,Canada ,Australia ,Korea ,etc . 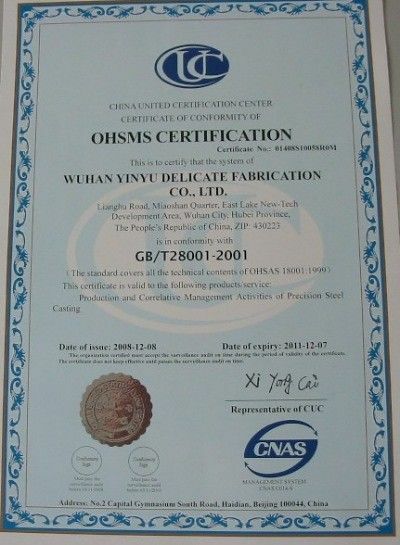 We passed the ISO9001:2008&TS16949 ,and we have established a full set of quality inspection system . We also welcome OEM order , as we are the direct manufacturer , We have the full confidence to provide you the reliable products , competitive price and timely delivery ! ight tolerance, Fast delivery, etc. *Q1: What is the MOQ? A: The minimum order is 50pcs Lost Wax Casting. *Q2: How long is the mass producing? A: It based on qty, dimension, etc. If as your drawing, the time will be much longer. *Q3: Why the price is different from the prices on the web? A: All the price on my web are current & estimate price. Somtimes I can't renew them in time. Moreover the price is also based on your qty and designs. Because the products production as your drawing or samples. *Q4: Does your products can be customized? A: Yes, customized shapes and dimension also available. *Q5: How can we process the order? A: If you confirm the order,we will send you purchase invoice . After we get your deposite, we will arrange manufacture at once and finish goods within 25-30days based on different quantity. *Q6: Are you a trader or factory?